Josh Higgins loves to make up stories about other planets. At least he thought he was making them up. After Josh publishes his first book, sinister blue aliens visit Earth! Josh quickly learns that the worlds he wrote about in his stories are way too real. The outer space thugs take Josh and his kid sister Maggie all the way to the desert planet Yastol. And when Josh and Maggie refuse to aid the blue guys, a chase begins across Yastol's harsh landscape. 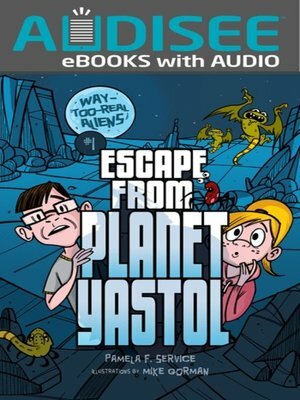 Will the help of the planet's brave Prince Izor be enough to save Yastol from the bad blue aliens? Or will the planet's many dangers finish off Josh and Maggie first?